LOS ANGELES, Calif. /California Newswire/ — California State University, Los Angeles has been awarded a $16.6 million grant from the California Department of Health Care Services to promote dental health among underserved populations in Los Angeles. Cal State LA is one of 15 recipients of the Local Dental Pilot Project funding, which is part of the Medi-Cal 2020 Dental Transformation Initiative. The goals of the state initiative include increasing access to oral health care, identifying and treating dental disease, as well as incentivizing continuity of care for children enrolled in Denti-Cal. 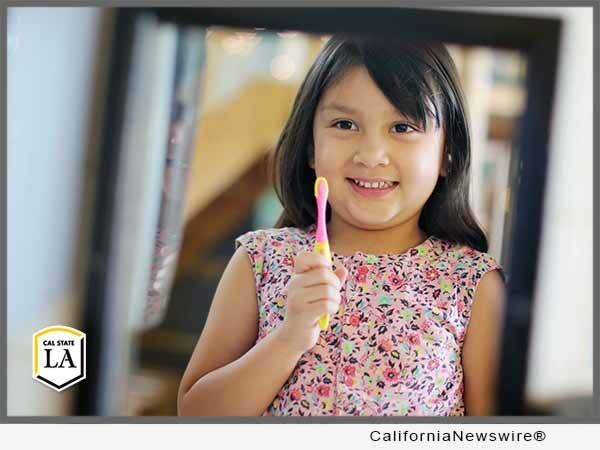 Denti-Cal provides dental services under Medi-Cal to approximately 6 million children in California. The grant is believed to be the largest in Cal State LA’s history. Funded by the four-year grant, the project will target children and youth in the Los Angeles metropolitan region who are underserved and underrepresented in the dental care service delivery systems and who experience high rates of dental diseases. The Local Dental Pilot Project at Cal State LA will focus on identifying contextual barriers to children’s oral health and ways to integrate that knowledge into the design and delivery of program interventions. The team will create educational materials to raise awareness of the importance of preventive and regular maintenance of oral health care in children, youth and young adults. Mobile care teams will be deployed to community sites to provide oral health screenings. The teams will help children and their families establish an ongoing relationship with a dentist. The project will also develop targeted outreach to families who have children with special needs, and American Indian and Alaska Native families who confront unique circumstances that affect oral health. According to Ledesma, children and youth with special needs frequently require specialized services and the USC and Children’s Hospital Los Angeles partners are well equipped to address the needs of this community. Cal State LA’s Rongxiang Xu College of Health and Human Services is undertaking this project in collaboration with the Herman Ostrow School of Dentistry of USC. The project integrates the expertise and experience of these two universities, in partnership with a broad range of child and family services organizations. The Cal State LA team will implement educational and intervention strategies to support oral health. The USC team will assume primary responsibilities for dental health screenings. Both teams will focus on continuity of care, and interdisciplinary training of students, agency staff and community members. At Cal State LA, the project will be directed by Ledesma, who is associate dean of diversity and student engagement in the Rongxiang Xu College of Health and Human Services, and Ashley Munger, who is an assistant professor in the Department of Child and Family Studies. Faculty from multiple disciplines will use their expertise to address conditions that undermine oral health status, using an approach that is attentive to culture, responsive to social context and focuses on family and community strengths, Munger said. Undergraduate students from nursing, nutrition, public health, child and family studies, and communication disorders will be trained to support the project.